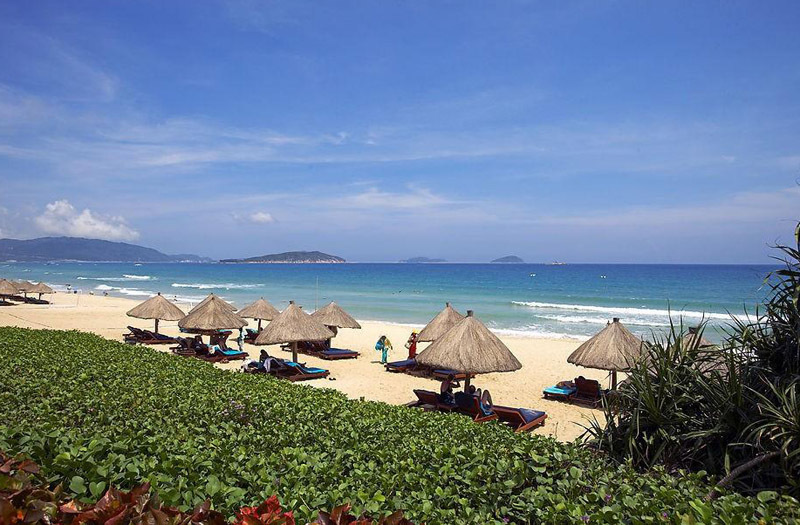 Sanya Haitang Bay, hailed as the “national seashore” of China, is well on its way to becoming a world-class tourism resort. With a coastline stretching 22 kilometers, Haitang Bay boasts eye-pleasing tourism attractions including the Nantian spring, Tielu harbor, Wuzhizhou islet and Yezizhou islet. Twelve high-end internationally recognized brand hotels have opened for business on the beautiful coastline, including the Sheraton, Conrad, Renaissance, Doubletree by Hilton, and Kempinski, with the number of hotel rooms reaching 3,200. In the first half of 2013, the coastal town received a total of 1.17 million tourists, with overnight tourists reaching 300,000, a year-on-year increase of 131%. Local officials said constructions of a number of other brand hotels including Shangri-La, the Ritz-carton, St. Regis, Wyndham, Fairmont, and Indigo are underway presently. After completion, the number of brand hotels in Haitang Bay is expected to reach 32, with hotel rooms reaching 15,000. In order to increase the hotel room occupancy rate, reward policies are said to have been introduced by the local government to reward tourism enterprises which make significant contributions to the development of local tourism. Wu Zhongbin, the deputy director of Haitang Bay Administration Committee, said the town plans to build more than 20 super-scale projects, including the Coconut Island hotel hub, Atlantis project, Dream Sleepless Town, a finance and economics forum and China Studio City. Tourism promotional and marketing campaigns have also been launched both domestically and abroad to further increase the recognition and reputation of Haitang Bay.